MAKE IT YOUR NEW SPRING RESOLUTION TO DRINK ORGANIC WINES! Have your New Year’s resolutions fallen wayside or are still sitting on the dust? Don’t worry, you don’t have to wait until next year to start fresh! For us, springtime is when the new year really starts and the perfect time to sit down and draw up your bucket list. Longer days, warmer weather and vibrant colors are simply the perfect way to lift up our mood and encourage new goals. And if you are lucky enough to live in the countryside like us, you can literally witness the nature start again with blossoms, flowers, bees and sprouting vines all over. Indeed, it is not by chance that April is internationally recognized as the month to celebrate Earth and our beautiful land. Personally, we have made it our goal to deliver to our customers a collection of organic, vegan and gluten-free wines that are good and sustainable for the planet and the drinker! And, to top it all, our spring resolutions include our traditional partnership with the Arbor Day Foundation. 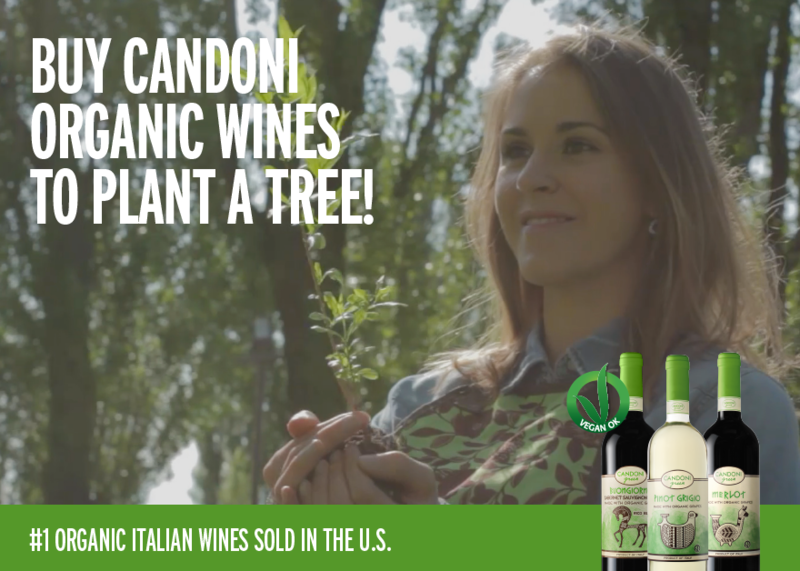 During the month of April, we’ll plant a new tree across the U.S. forests for every Candoni Organic Wine you purchase! So, what’s better than the fresh and natural taste of organic wine to usher us in this new springtime and cheers to new beginnings and goals? 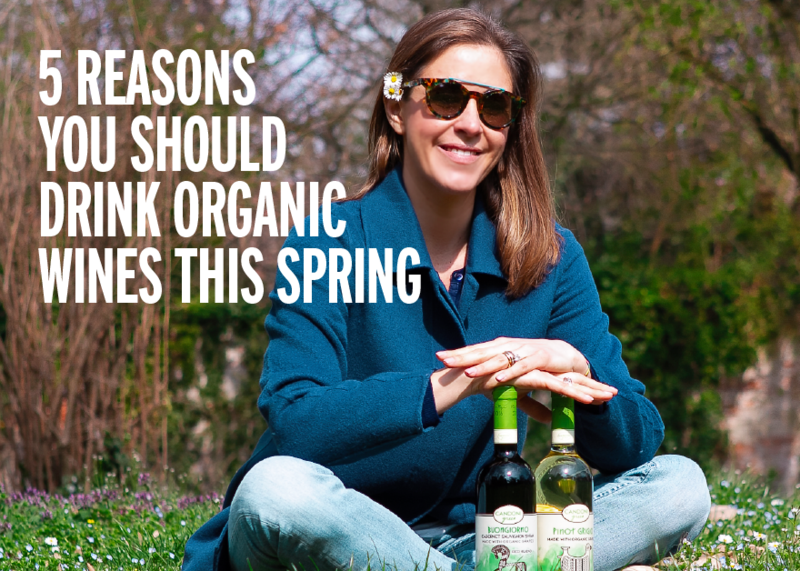 If you are not yet on board, we’ve prepared a list of 5 reasons to drink organic wines this spring, and we are sure you may even turn this into a point down your Spring Bucket list! There is a growing worldwide consumer movement to keep artificial ingredients off the table, from avoiding genetically-modified crops to condemning pesticide-rich farming practices. Parents strive to serve their families food that was produced with as much loving effort as they use to prepare and cook the food. If this is your concern too, switching to organically-grown wines seems like the direct way to go! When it comes to wine produced with organically-grown grapes, you can rest assured that grapes are not coated with chemical fertilizers, pesticides, and herbicides. Certification agencies, such as Suolo and Salute, the USDA-accredited Italian agency that certifies Candoni Organic Wines, run periodic soil testing, sampling, pest-control analysis and water analysis to check if a vineyard can qualify for organic status. Are organic wines healthier? Although, there isn’t any proven evidence that organic wines can save you from headache or hangovers, as some of you might think, there are some serious benefits to drinking wine made from organic grapes. Organic practices in the vineyards avoid the use of chemicals and promote biodiversity. The use of chemical pesticides, herbicides and other contaminants can affect the PH balance of the soil, kill off entire populations of insects and weeds, and pollute ground water and local waterways with negative consequences for the environment and the local ecosystem. Each insect and weed has its own role on the larger scale, thus the use organic growing practices aims at promoting biodiversity and long-term sustainability. 3. ARE ORGANIC WINES GLUTEN-FREE, VEGAN OR SULFITE-FREE? It’s easy to assume that organic wines are automatically vegan, gluten-free and sulfite-free. But this is not always the case. The word “organic” does not refer to absence of gluten or animal products in the wines. Some companies use clarifiers that are made of animal stand-by products to filter the wine and take away the bitter or astringent tannins or gluten products in their wines. Here at Candoni we decided to make our organic wines vegan by obtaining the Vegan OK certification, which ensures that no egg whites have been used to filter the wine and no animal product has been used to produce the wine nor within the production facility. In addition, we don’t use any gluten products in our wines. Our family is very happy to offer vegan & gluten-free wine options, as these products can be difficult to find in the U.S. When it comes to sulfites, the deal gets a little more complicated. All wines, even organic wines, contain sulfites as they are a natural byproduct of the fermentation. Sulfites are present in everyday food and they are perfectly safe to consume unless you suffer from specific allergies. Wines with no added sulfites are highly unstable and at risk of losing the taste even before they are uncorked. At Candoni, we add small quantities of sulfites during the fermentation to preserve the wine for a little longer and to let you enjoy and taste the natural flavors and freshness of our organically-grown grapes. 4. WHY DO ORGANIC WINES TASTE DIFFERENT? If you have already tried a glass of organic wine, you may have noticed it tastes slightly different than your regular wine, often showcasing a crispy mouthfeel. This is because wines made from organic-grown grapes have purer taste and are meant to be consumed young, as they will retain their freshness for only a few years. Artificial compounds can be absorbed by the grapevine itself, altering the taste of the wine, but with organic wines you’ll be able to taste the natural freshness and flavors of the grapes with influences by natural phenomena like climate, soil, and terrain that give the wines a unique flavor each vintage, what you wine-savvy friend calls “terroir”. 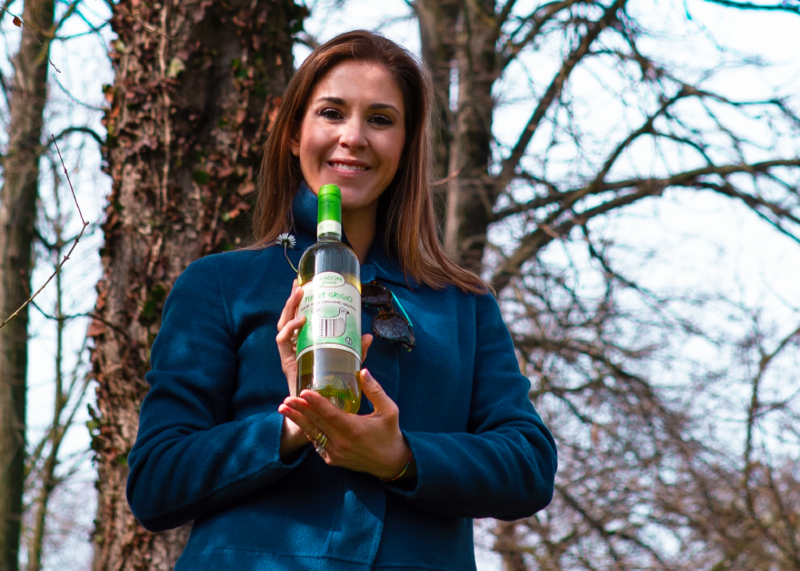 If you need one more reason to give Candoni Organic Wines a try, during the month of April 2019, for each Candoni Organic Wine you purchase, one tree will be planted through the Arbor Day Foundation. Over the past 7 years of partnership with the Foundation, we have planted over 40,000 new trees across the U.S. thanks to your help! Trees help to improve air quality, filter water, absorb carbon, combat deforestation, provide habitat for a variety of species, and feed the human soul especially in disaster-struck areas. Now, you understand the simple fundamentals on organic wines. If you are still not convinced, we suggest trying one of our wines to clear any doubts! Check our Candoni Organic Pinot Grigio, our Candoni Organic Merlot, and our Candoni Organic Buongiorno made from certified organically-grown grapes to taste for yourself the wonders of pure nature! Use our store locator to find out where to buy Candoni Organic Wines near you. Let’s make a positive impact on the lives of many and the planet!